Everything Mommyhood received both Disney's Frozen Upholstered Chair & Canopy Toddler Bed, make sure to check out her review! 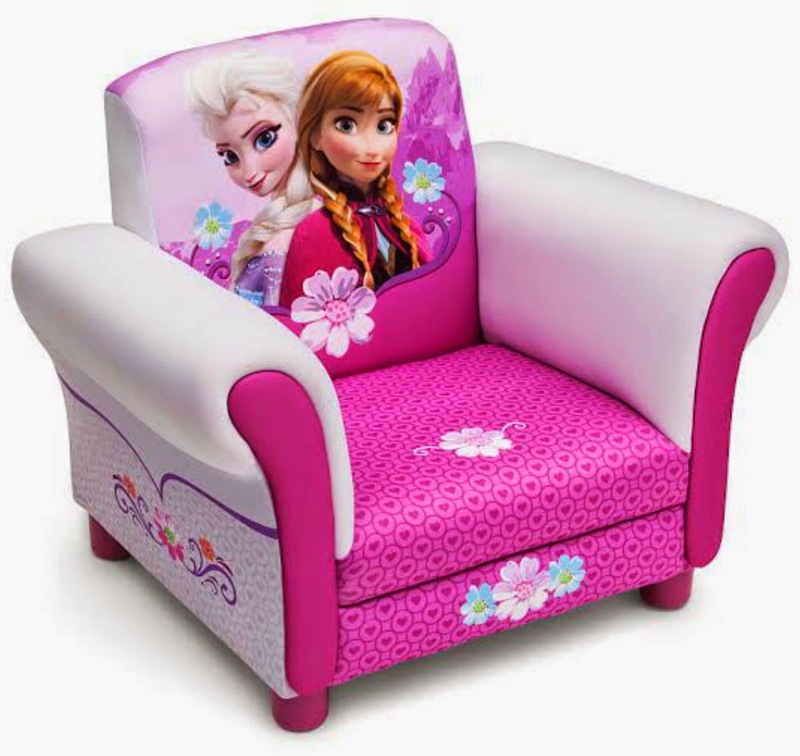 Disney's Frozen Upholstered Chair Review , Disney's Frozen Canopy Toddler Bed Review. Buy it: You can purchase the Frozen Upholstered Chair at Toys R Us for $69.99. 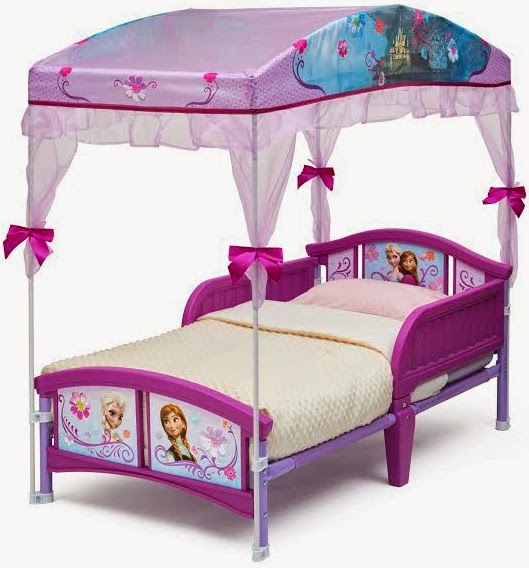 You can purchase the Frozen Toddler Canopy Bed at Toys R Us for $79.99. Make sure to follow Delta Children on Facebook! 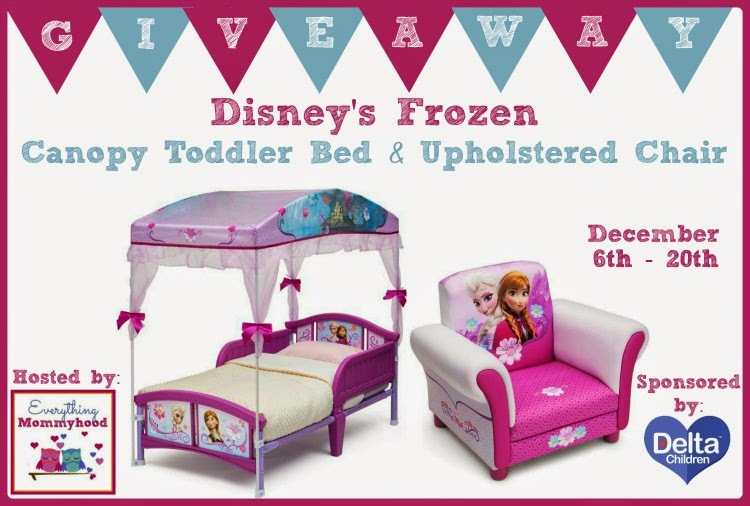 One lucky winner will receive a Frozen Upholstered Chair AND Frozen Toddler Canopy Bed, Retail approximately $150.00. Disclosure: Everything Mommyhood received the items mentioned above for the posting and promotion of her review and giveaway. Sparkle Me Pink didn’t receive any monetary compensation for the promotion of this giveaway. All opinions are 100% our own and were not influenced in any way. Everything Mommyhood and participating bloggers are not responsible for prize shipment, Delta Children is responsible for prize fulfillment/shipment. Only one entrant per household, per address may enter. Winner is subject to eligibility verification. Winner will be contacted via email and will have 48 hours to respond. Failure to respond in a timely manner, a new winner will be chosen and you will forfeit your prize. Facebook, Twitter, Pinterest, Google, and any other social media are not affiliated with this posting or giveaway. This disclosure is done in accordance with the Federal Trade Commission 10 CFR, Part 255 Guides Concerning the use of Endorsements and Testimonials in Advertising. If you have any questions, please email EverythingMommyhood@gmail.com. I would love to win this for my granddaughter! She is 2 1/2 years old. She is obsessed with Frozen! What little girl/boy isn't right now? She would absolutely freak out if I gave this to her.